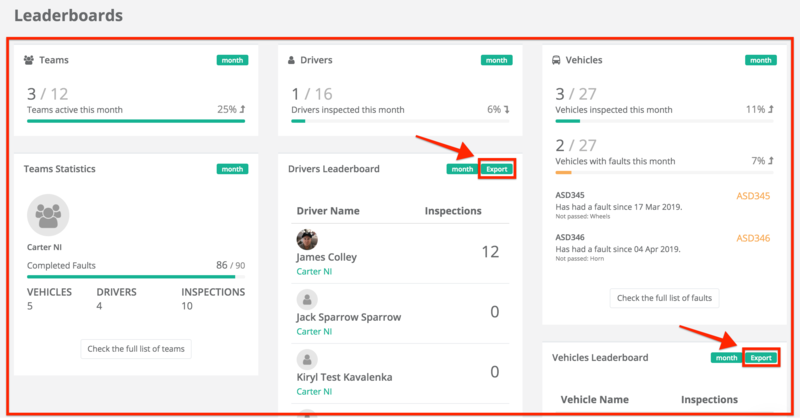 The Whip Around dashboard gives you insights into your inspection and fault data along with leaderboards to help you stay on top of compliance. You can access the dashboard by logging in here. Click on the 'Dashboard' module from the menu on the left. You can select the date range that you wish to analyze here. Across the top you can see the number of inspections conducted and faults flagged during the period of interest. You can also see the number of teams, drivers & vehicles you follow and how many vehicles from those teams that have been inspected for that period. The next part of the dashboard gives you a 'Faults Timeline' which will show you a list of todays new faults (up to 5). You can click on each fault to view it or click on the full list of faults button at the bottom to see all of the faults in the system. You can view this part of the dashboard to see the number of inspections over the period of interest and how many inspections failed. A failed inspection is an inspection with at least one failed item in the report. You can click on the 'View inspections' button to view all the inspections for this period and then open up and view each inspection of interest. 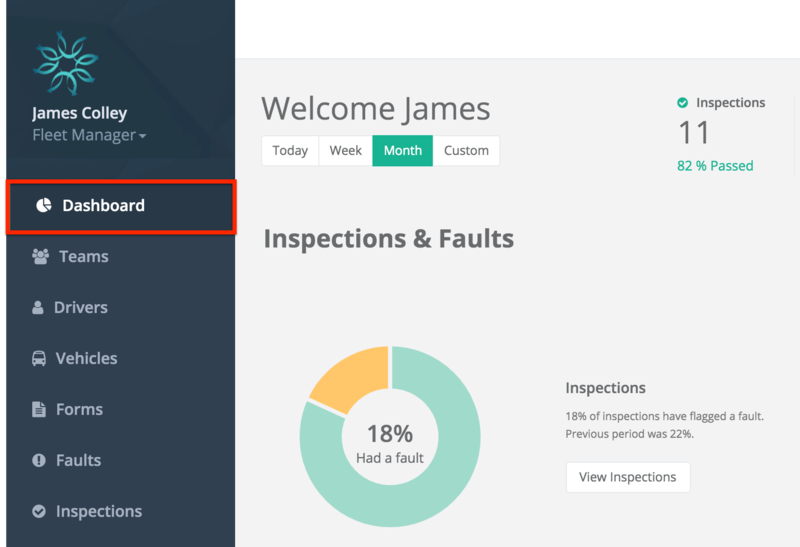 In the same section of the dashboard, you can view the number of faults and the status of them. 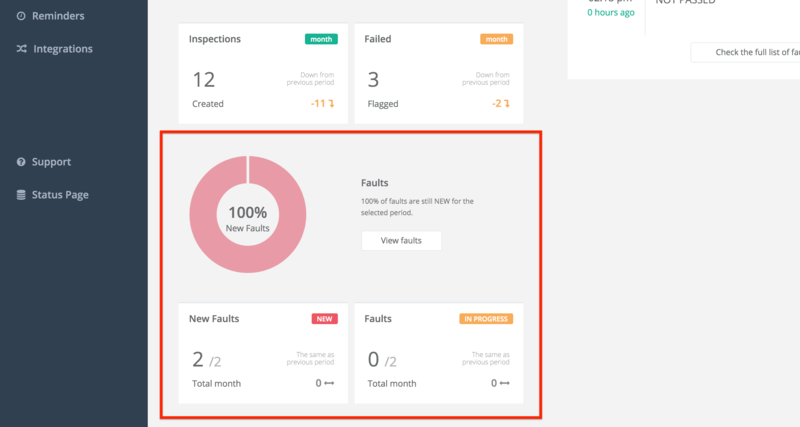 You can also click on 'View faults' to open up the list of all new and in progress faults. To learn more about the Faults module click here. The bottom part of the dashboard provides you with leaderboards for your teams, drivers and vehicles. You can filter and export the results as and when required.